Semi-industriel mini PC i ultra kompakt design. Metal kabinettet er utrolig pladsbesparende. 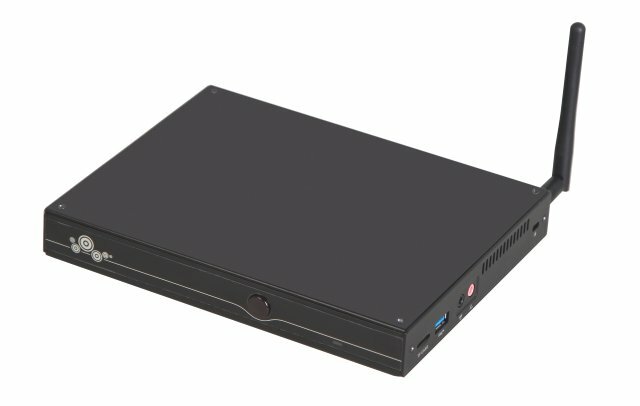 Mini PC’en er fanless og dermed meget lydsvag og velegnet til digital skiltning de fleste steder, hvor der er brug for en stabil og pladsbesparende enhed, med høj performance. 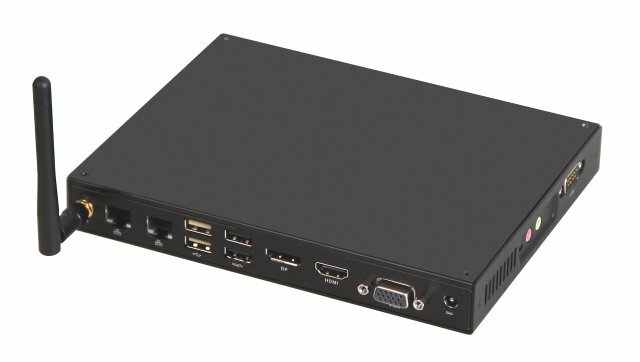 Shenzhen, 19 December 2016 – With the Giada F105D, a new fanless and energy-efficient mini PC is now available for versatile digital signage applications. The device is equipped with the latest generation of Intel® Celeron® N3450 / N3350 (Apollo Lake) processors and can be flexibly integrated into various digital signage infrastructures thanks to the compact dimensions. The built-in Intel® HD graphics GPU allows a high-resolution up to 4k on two displays at the same time. The robust metal case makes the Giada F105D a reliable 24/7 device for a wide range of digital signage applications in industry, public institutions, offices, banks, financial institutions, transport companies, and outdoor advertising. 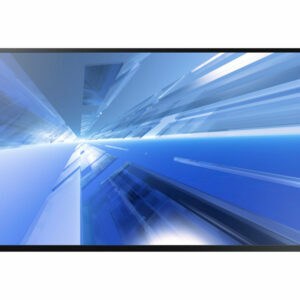 The Giada F105D is particularly suitable for the versatile use in demanding digital signage applications. 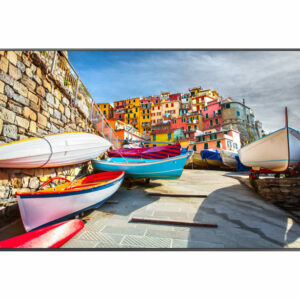 It’s ideal for multimedial applications such as large-format displays (LFDs) or multi-display digital signage, with excellent computational and graphics performance and a brilliant 4k resolution. The device has all the functions for the display of advertisements, information displays or information boards at kiosks and vending machines in the outdoor area. The fanless design ensures energy-saving and silent operation. Combined with the compact design of 187 x 147 x 25 millimeters, the Giada F105D is a flexible and attractive digital signage solution especially for offices and public facilities. The Mini PC is also suitable for industrial control applications due to its robust design. A metal housing protects the Giada F105D from temperature, dust, humidity or electromagnetic influences. In this way, the device ensures a permanently stable operation with long-term use and automatically starts again in the event of a system crash. The Giada F105D utilizes the latest Intel® Celeron® (Apollo Lake) processor technology, ensuring the best balance of performance and power consumption (CPU TDP only 6 watts). The performance as well as the storage capacity of the mini PC can be optionally expanded via numerous interfaces. The Giada F105D has 2 gigabytes of internal memory. An integrated SO-DIMM slot supports DDR3-1600 megahertz up to a maximum of 4 gigabytes. The system runs in dual-channel mode with higher performance. The Giada F105D provides first-class connectivity with two mini PCIe interfaces, one COM port, two USB 2.0 ports and three USB 3.0 ports. For maximum flexibility and expandability, the Mini PC also features a 2.5 inch SATA III, an mSATA and an M.2 interface that supports PCI-E mode. It fulfills the highest requirements with regard to read and write speeds. In addition, the Mini PC has three video outputs (DP, VGA and HDMI) for brilliant video playback with low system utilization. Thanks to the HDMI and display ports, the Giada F105D guarantees a resolution of 4096 x 2160 pixels at a refresh rate of 60 hertz. The Mini PC allows an efficient and liquid image decoding in the most brilliant 4k resolution on two screens at the same time.